Atlanta Real Food: Did Someone Say Pie? This week at RFAM, we have Boot Camp at 10:30am with Gym Guyz, and a special POP kid's tent with Lauren Brown! Lauren Brown is a Licensed Professional Counselor and has been working with children and families for 15 years as a counselor in private practice and as a former teacher and school counselor. She is the owner of Early Connections Child & Family Counseling here in Roswell. Her focus is helping discouraged children, frustrated parents, and stressed adults find hope and solutions. There is still plenty of space to enter your award winning sweet or savory pie. ALL pies must be made with at least 1 local ingredient from 100 miles of Roswell, an ingredient list must be provided with a note of which ones are local as well as a copy of the recipe. Pie Crust can be hand made or store bought-Hand made preferred. Pies should be dropped off at Info Tent by 9 am. Judging will begin roughly around 10am. 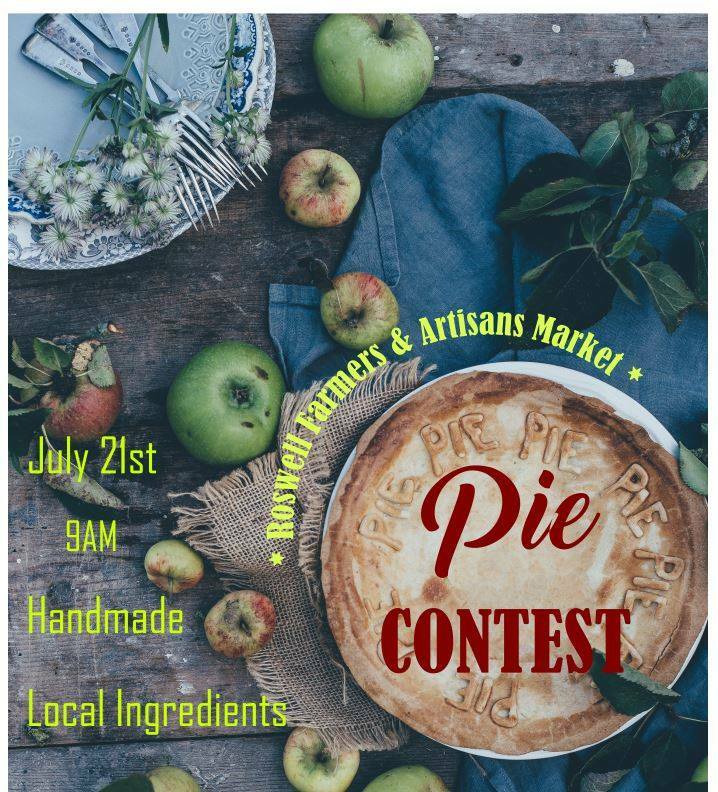 We'll charge $2 to taste all the pies after the official judges & people vote for a crowd favorite. The tasting fees will go to support the market. Live plants including: Basil, Mint, Lavender, Geranium, Elephant Ears, Purple heart, Rudbeckia and much more. Bacon, beef, chicken, duck, eggs, pork cuts, shrimp, and sausage. These vendors are scheduled to attend Saturday's market. Copyright © 2018 Roswell FAM, All rights reserved.